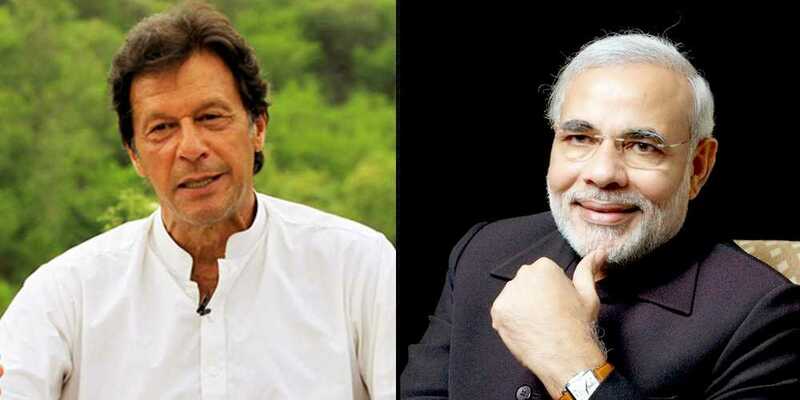 Inidan Prime Minister Narendra Modi on Monday spoke to former Pakistani cricketer Imran Khan, whose Pakistan Tehreek-e-Insaf (PTI) party has emerged as the largest party on the country's general elections last week, and called for peace and development in the South Asian neighbourhood. "Prime Minister spoke to Imran Khan, Chairperson of PTI and congratulated him for his party emerging as the largest political party in the National Assembly of Pakistan in the recently conducted general elections," the External Affairs Ministry said in a statement. "Prime Minister expressed hope that democracy will take deeper roots in Pakistan," the statement said, adding Modi "also reiterated his vision of peace and development in the entire neighbourhood". Imran Khan has said that he will take oath as Prime Minister on August 11, the media reported on Monday. To meet the required number of votes, the PTI leadership has reportedly approached the Muttahida Qaumi Movement-Pakistan, the Grand Democratic Alliance, PML-Quaid and the Balochistan Awami Party, as well as Independents.